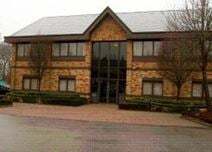 A wide range of office spaces of various sizes is available to let in Chipping Norton, an important market town with a wonderful landscape and excellent transport connections. These spaces are available at flexible rental terms and can be tailored in their size to accommodate any of your requirements and offer ideal office solutions to your company. They are provided with security, parking facilities and all the services needed to run a successful business.